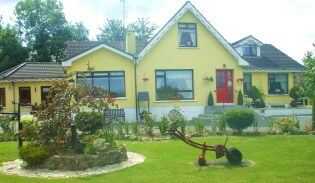 Welcome to Perrymount Country Home Bed and Breakfast, Gorey, Co. Wexford, Ireland. Perrymount Country Home is situated in the village of Inch which is nestled between Arklow town and Gorey town just off the M11, Perrymount Country Home is a long standing family run bed and breakfast which provides an ideal base for those who are touring and visting the south east region. Perrymount Country Home has many activities and attractions close by such as a choice of beaches, golf courses, numerous heritage sites, hill and mountain walking, not to mention the the shops, pubs and restaurants of north Wexford and south Wicklow, and of course the local Pub and Restaurant, Toss Byrne's (which serves food daily up to 7pm) is a mere 50 metres from our front door! See our Local Attractions page for more details. At Perrymount B & B we accomodate people attending weddings and other functions in local hotels in the Gorey area such as Amber Springs Hotel, Ashdown Park Hotel, Marlfield House and Seafield Hotel Ballymoney. We also have a local taxi available at a reasonable rate. 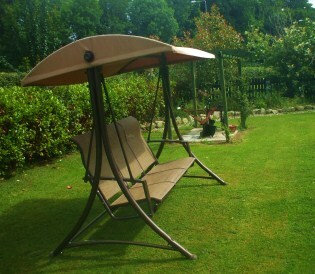 Perrymount Country Home is conveniently situated only 5 miles from both Arklow and Gorey town. Inch can be accessed at either exit 21 or 22 on the M11 (click here for map). You can be assured of a hot cup of tea or coffee with home baking and a warm welcome on arrival. Click here for more information on our Rooms and our competive Rates. We look forward to hearing from you (contact us) !